These artificial grass benefits will erase all your doubts into buying artificial lawn. As expert gardeners will say, “If you want a lawn that is lush and green all summer, watering is important. ” Well, that’s easier said than done, especially if you live in Perth. The video below shows the water scarcity experienced in Australia. 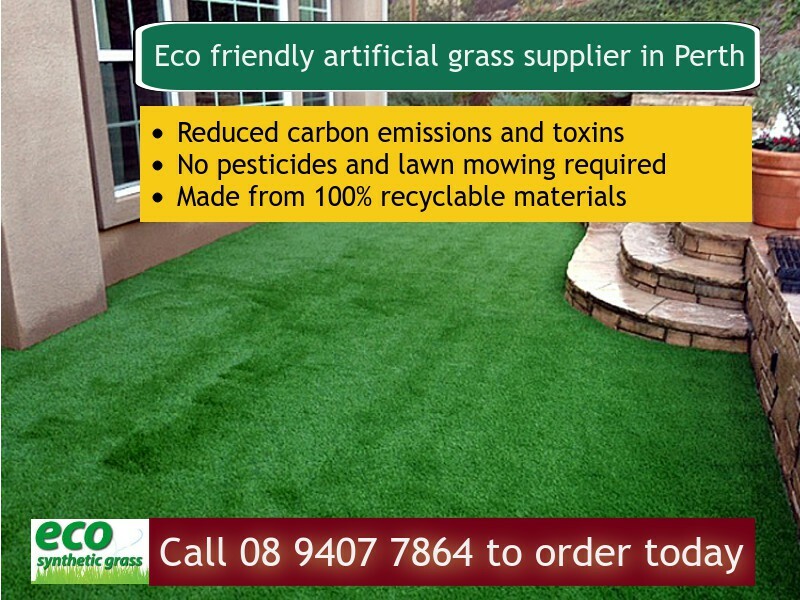 Eco Synthetic Grass Perth allows you to forget about watering, whilst enjoying that perfect green lawn you have always dreamed of. You don’t need to get up early morning just to water your lawn. You don’t even need to buy sprinklers. Just lay our artificial grass once, and you barely need very little maintenance with it. You’re lucky if it isn’t. But come to think of it, lawn mowing is one of the most common arguments among family members, especially couples. So why should you risk having an accident or an unnecessary argument with your husband or wife? Why regularly pay for lawn mowing services, when you can have an artificial grass installed for you? Some think that buffalo grass is the perfect lawn for these since they won’t need to bother too much with the weeds. Watch this video, because you may be wrong. Eco Synthetic Buffalo Grass is developed to give you that realistic buffalo look, without having to worry about the weeds. Those nasty weeds will not appear to ruin the beauty of your lawn. So what are you waiting for? Get your free quote today. Do you fertilise your lawns just to ensure it looks lush and green? You must be passionate with your garden, but would it be better if you need to put fertiliser on your soil? Absolutely! Artificial lawns can do this just for you. So forget about any pest problem, because with synthetic lawns, this is very much possible. How about the regular wear and tear? Will artificial grass be able to withstand it? Eco Synthetic Grass has carefully selected the finest materials to ensure your artificial lawn can withstand regular wear and tear. All of our grass are durable to withstand all kinds of climates, weather changes and traffic. We guarantee its durability we are even giving a 10-year warranty for it. Learn more about our products. Now that your grass doesnt have any weed killers, fertilisers, pesticides and other chemicals, you are assured your children can freely play on this artificial law. No wonder even schools are using fake grass on their ground. We know how much you love your dogs. Thus, we ensure your artificial grass is friendly even with your dogs. Now you can play happily with them even during the scorching heat of the sun. How about the odour they leave on your fake grass? It can easily be removed with some water and a mild detergent. Read more about our zeolite products here. 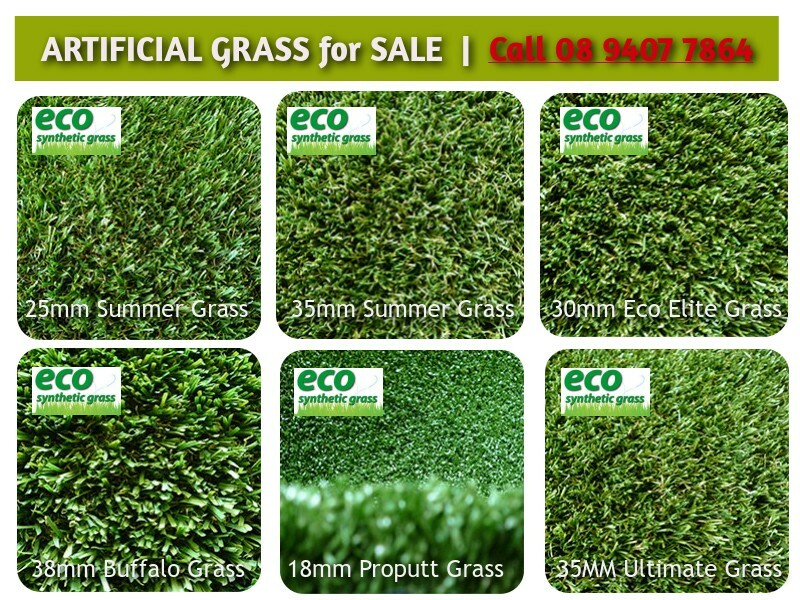 Artificial grass benefits: MORE SAVINGS!!! It’s great to know that your children enjoyed their weekend playing on the grass. But it’s always a nightmare seeing the mud getting into your house. It’s actually a disaster! Eco synthetic grass allows you to let your kids play all day long at your artificial lawn without having to worry about stains and muds. There’s no soil to get wet, thus no need to think about mud. Planning to sell your home? Add some artificial grass to it and you’ll be surprised at how much it will easily draw attention to your potential buyers. It’s just a bit of investment on your end, but the return of investment is definitely high.